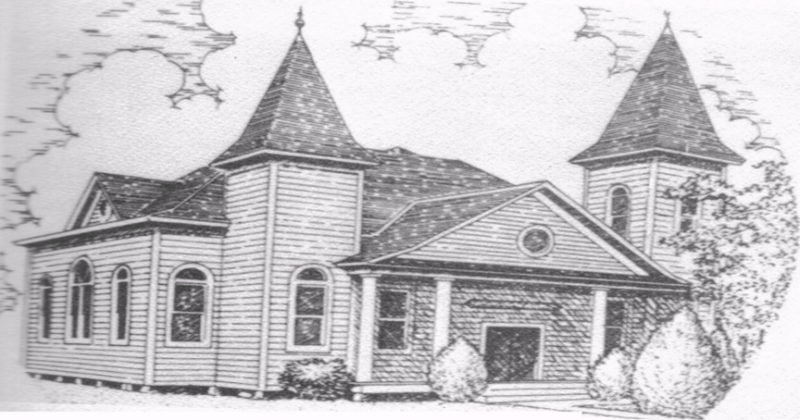 In 1904 it became evident to a group of people from the Methodist Church in Hillsboro that a new Methodist church was needed on the west side of Hillsboro, since there was no building suitable for worship on the west side of the railroad and that part of town was growing had over 1,500 people at that time. On August 12, 1904 a tent revival was held on the lot that the church occupies today. Rev. Jerome Duncan led the revival and the organization of the new church on Line Street. On October 19, 1904 plans were made to spend $3,500. to build a modern building that would seat 350 people on the corner of Line and Hedge Streets in Hillsboro. The Rev. Alonzo Monk, Jr. was assigned to the Line Street Methodist Church on November 16, 1904. The first parsonage was built in 1910. In 1954 the congregation of Line Street celebrated its 50th Anniversary. In 1958 a new parsonage was built. On September 7, 1969, after 6 months of construction, a newly built church costing $55,000. was dedicated. Over the past years several small churches from surrounding areas have united with Line Street. Those joining include Kirby in 1920, Peoria in 1951, Matthew Memorial in 1962, Midway in 1967 and in 1968 Vaughan joined the congregation of Line Street. By the Glory of God, Line Street United Methodist Church continues to Bless and Serve our community and welcomes all that wish to enter its’ doors!